While Julia Child, one of the greatest and my favorite chefs, was mastering the art of French cooking, I've been mastering the art of Italian cooking lately. I think the fact that I was born about 600 miles East from Italy has something to do with my tastes and preferences, specifically in pasta department. See for yourself: I grew up on polenta, different types of homemade pasta, lots of vegetables, homemade breads and cheese. 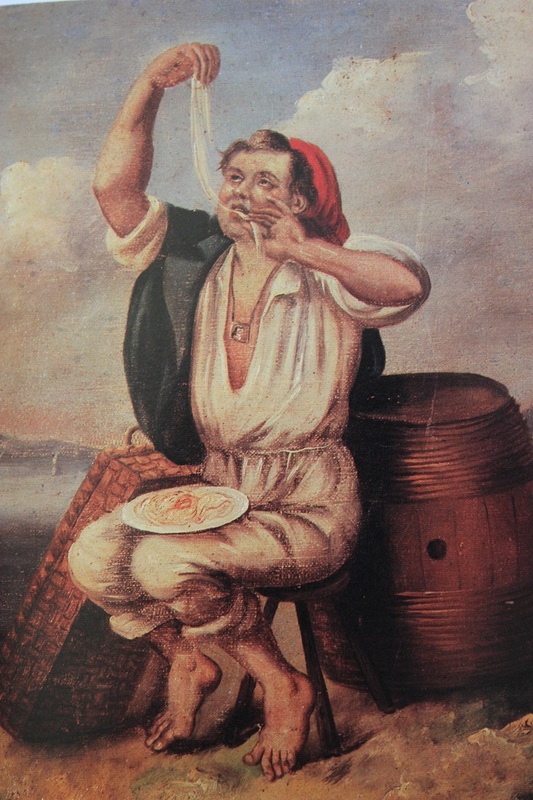 Those Southern European countries, kissed by the sun, have many similarities in their cuisines. Since I discovered lately that I do love pasta, homemade and fresh, I went on a quest to find out more. "Remember to stay away from mass-produced cheap pasta, you will just be disappointed come dinnertime" warned Justin Demetri. Well, I know that the hard way, ten-years-of-hating-anything-pasta-way. I was disappointed and I didn't eat pasta until mother came to the rescue: during her visit last winter she made some pasta and I fell in love with it again. Then mother showed me the family recipe and I've been rolling since. Making pasta is a fun process and is considered to be a meditation, especially the kneading part (I do it by hands). I've read that semolina flour is quite tricky to work with so I decided to try it slowly: I made the first batch with two parts of regular flour (unbleached unbromide wheat flour) and two parts of semolina flour. I did add 4 eggs and four tablespoons of water. Not exactly the way I wanted it to go. Something was wrong: a) not enough moisture or b) not enough kneading. I think it's both. If you have another idea, please, do let me know. It had to be fixed by more kneading, I thought... 15 minutes later still the same results. And the dough was though to knead, at some point I would jump and press on it with all my weight , then jump and press again... My arms were getting sore but the dough was still stubborn and not elastic. Then I decided to add more water. That's a very tricky part, it's easier (and better) to add flour than to add water. 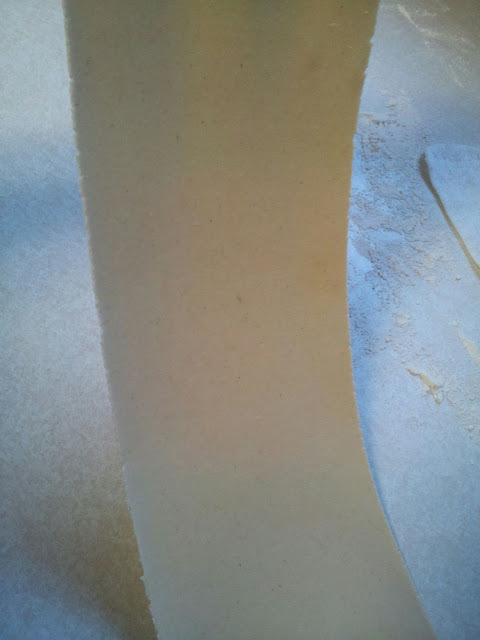 What I did was I ran the small pieces of dough through pasta roller, then I would rinse my hands and pat the dough with my hands, then I would fold the dough in half and pat again, repeating this process a few time until I had a perfect elastic dough coming through. ...until it came out just perfect. I spent five (!) hours doing this but the result was totally worth it. Now, don't get discouraged by my experience. I experimented without researching first (semolina flour needs more water, and I know it now! - the hard way, though), and my first college degree in food microbiology helps me to get things done most of the time. Do your homework, find a recipe you like and be patient: dough loves attention. Allow yourself plenty of time to knead the dough, turn on some music (Italian maybe?!) and relax during the process. I assure you, the result is fantastic. I make both fresh and dry pasta (which is fresh pasta that is let to dry for about 50 hours or so), and this pasta I certainly can eat every day, cooked al dente! I think I found out why I can't eat store bought pasta: the taste of pasta enhances if you air dry it, preferably on the sun (that's how I remember grandmother and mother made it). I've seen pictures with rows of pasta drying outside in Italian towns, a very fascinating view. 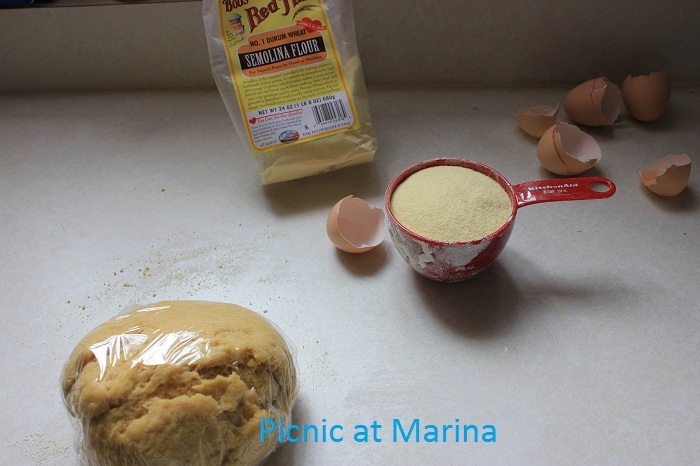 And the best flour to make dry pasta is semolina flour. My next challenge will be a pasta dough made with 100% semolina and water (which is required by Italian law for dry pastas! ), then dried outside on the sun. I sure NEED to go to Italy to learn to make pasta from the best! You have done it beautifully. I am also thinking of buying that attachment for my mixer. You would love it, I am sure. Do get one and make some gluten free pasta. I would love to learn from you, my friend! O my God-))) I am so envy you! 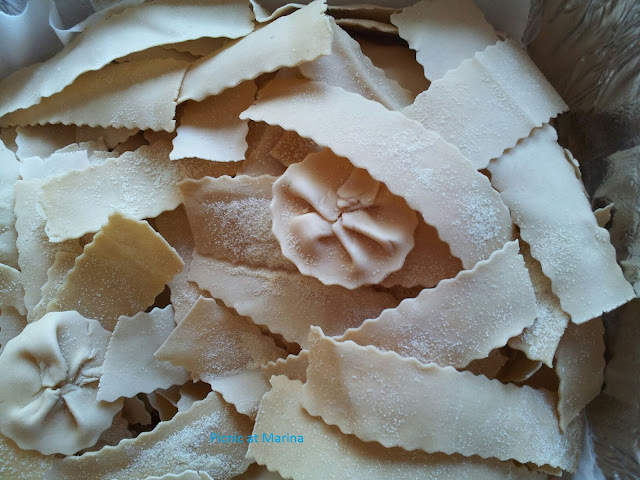 I love to learn how to make fresh pasta but for some reason I am so afraid-)) One day. You are my hero! Thanks Yelena! :) Don't be afraid, involve the kids: ask them to wash their hands and play with the dough - here is your kneading goes! I love homemade pasta I usually try to make it at least once in 2 weeks!! Thank you Catalina for your comment. That's impressive! Making my own pasta is on my list! I took a cooking course a few years ago with an Italian chef and we learned how to make pasta but I have never tried it in my own. Despite the trial and error, your is a thing of beauty - I too could eat it everyday. Thank you Lindsay! I too would love to take some classes. Learning from the chefs is such a great pleasure. Fantastic and very brave! I've never made my own pasta but something i'd love to do.. Thank you! 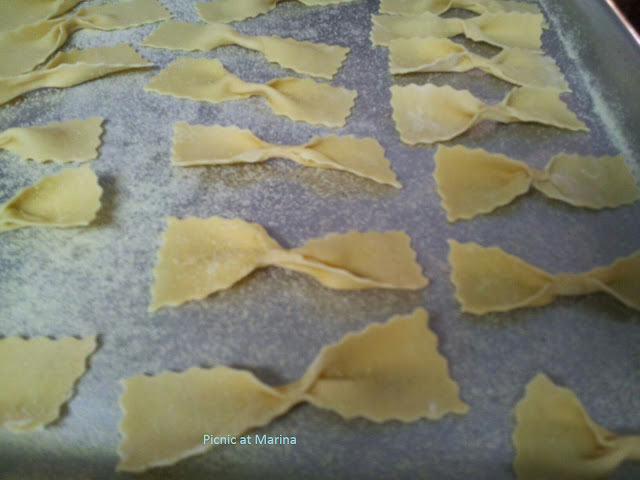 Home made pasta is a lot of fun to make and worth all the trouble! Have a great day! Aaww !! Just those perfect shapes.. GGrrr !! I really need that Machine, tough to roll them perfectly with hands ..
You succeeded, congratulations!!!!!! Now that you understand the process the next batch will be made in no time. A pasta machine is a great invention. Hi Norma, I agree, pasta rolling machine is a great invention. Although some people, like my mother, can make it to perfection by hands. She actually showed me and stood beside me while I was doing it, but it didn't come out even close to her shape in rolling process. So I decided to let the machine do this job. The rest is all done by hands, and I am very proud of this fact. :) Have a lovely day! I followed your link from Norma Chang's site, and am so glad I did. Your photographs are so helpful. I've never had the nerve to attempt pasta, but if I hand around here long I may end up doing so. Lovely post! 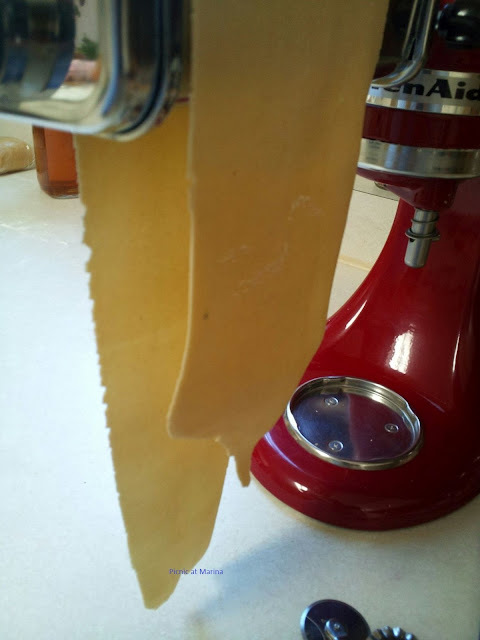 Fantastic post;wish I could; I used to make home made pasta, but it's been a while and you need good arms. Thanks Rita. You actually could do it all with machine, I choose to knead the dough with my arms. And it makes arms stronger too. I love it! There's nothing like homemade pasta. I've received an attachment for my kitchenaid and have not attempted to try and make my own. This is something I know my kiddies will enjoy taking part of. Oh yes, involve the kids, ask them to play with that dough (after washing their hands) - it would stretch it to the desired texture. I never made homemade pasta so your experience will help me to avoid headache when I will finally decide to do so. Thanks! I know you can do it! Look at all the beautiful cakes you've created! 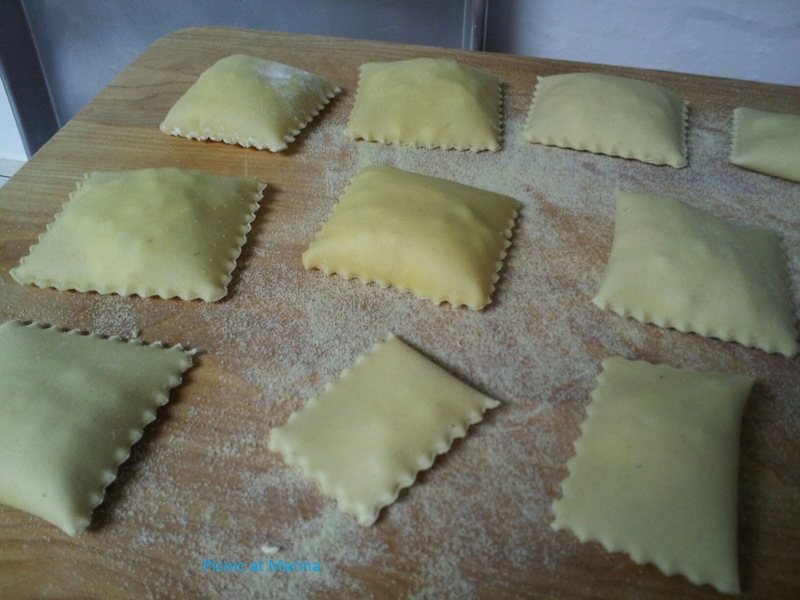 Your homemade pasta...ravioli are beautiful. I think just semolina flour will be easier to work with. I love your little round pleated pasta shapes. So beautifull that hand made pasta! I'm not sure that I'm quite up to this challenge just yet but you do have me thinking about it. It is not challenging if you follow the directions. I am very comfortable making the regular pasta. Good luck! Congrats on the gorgeous pasta! I'm sure it tastes amazing too! Did you get your pasta roller? I am waiting to hear about your gluten-free pasta adventures, Jane! Wow you have patience to do this. Me, I am not sure. Great job. Love to try some. It depends how you look at it. I didn't have any patience before for any long cooking, then my attitude changed, I consider it not only a necessity but a relaxing process as well. And I Enjoy it! Thanks for visiting me here! That's a brilliant idea to have a "home day" with kids! Good luck! Thanks for visiting me here! Mmmmm, mmmm! You did a great job making the pasta and it has to be delicious! I need that attachment! And, I'd like your red Kitchen Aid too, instead of my white one. oh wow! I have yet to master it and I am pretty sure you have with this post! The pasta dough looks amazing! Sounds like a deal to me! It's more fun to have a friend on a journey! Thanks Liz! I wanted to try semolina after I've read about how pasta was made and is made. I really like this post. You've battled through and come out pasta triumphant! It looks fab and well done for persevering. 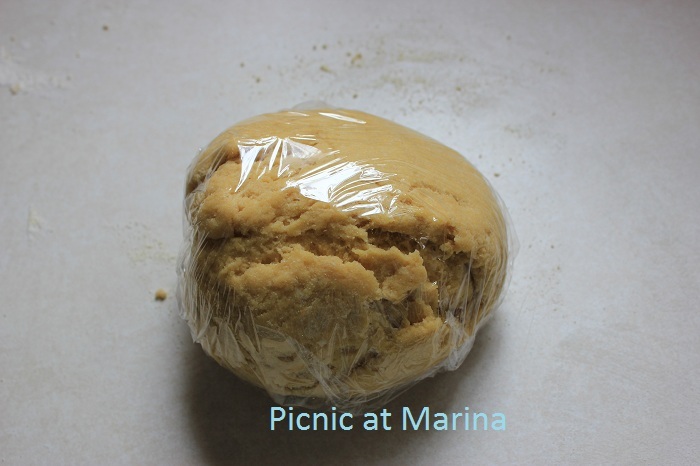 Marina- your pasta dough looks perfect, and those shapes you made are fantastic. I have a small bag of semolina flour that I keep in the freezer, and I mix it with the all purpose flour when I make my fresh pasta. It is rather expensive to buy, and mixing it, 50% with the other flour gives excellent results. 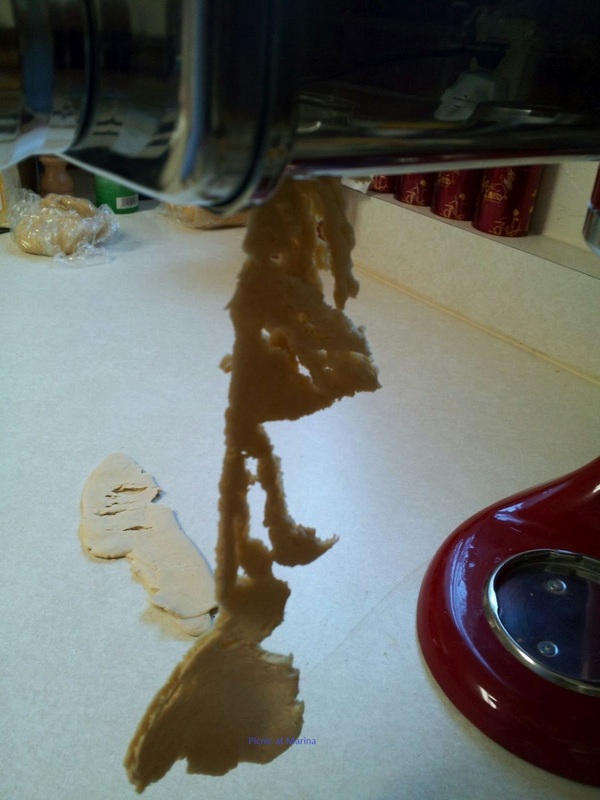 I envy you for the Kitchen Aid, that has the pasta machine attachment. I just have the old fashioned cranker kind that is for sure...not electric, but give the same beautiful sheets of pasta dough!